Looks like someone is bent on destroying Cardi B's relationship. Or more like, her fiancé is bent on destroying their relationship. They just leaked a video of her fiancé Migos Offset cheating on her with a big bum bum lady. 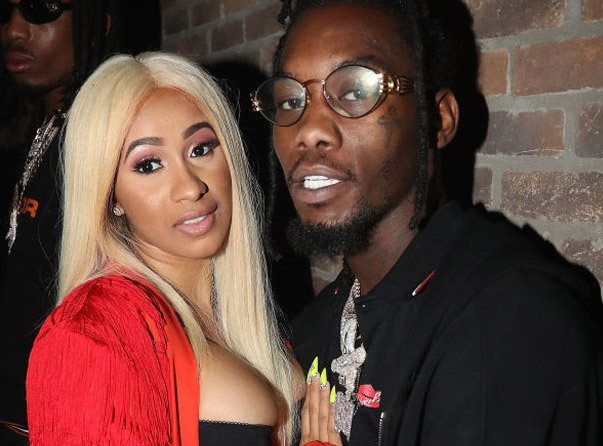 According to Famelous, Offset played a fast one on Cardi in September, just a few weeks before he engaged her. In the video, a naked woman is seen walking into the bathroom while Offset films her. She checks herself out in the mirror, then stops to play with her bum. After it went viral, Cardi B confirmed it was Offset in the video. Offset definitely has a type.